Heimatec Inc. changed their company name to Platinum Tooling on November 19, 2018. Platinum Tooling Inc. is a world leader in the development and manufacturing of live tools, angle heads and multi-spindle drill heads. They are the exclusive North American supplier for Heimatec tooling, Tecnicrafts Swiss collets and guide bushings, and Henninger spindle speeders.With U.S. headquarters located in the Chicagoland area and company headquarters and manufacturing in Renchen, Germany, They are dedicated to supplying their customers the most innovative tooling technology possible. Platinum Tooling's highly qualified and experienced team of engineers and designers is in permanent contact with manufacturers of bearings, high power transmissions, seals for coolant, etc. This allows them to stay ahead of technical developments and offer customers state of the art live tools, speciality tools and flexible and quick change tool adapter systems. They have been manufacturing hobbing tools for gear machines on CNC lathes and multi-spindle drill heads with a minimum quality of lubrication of many years. 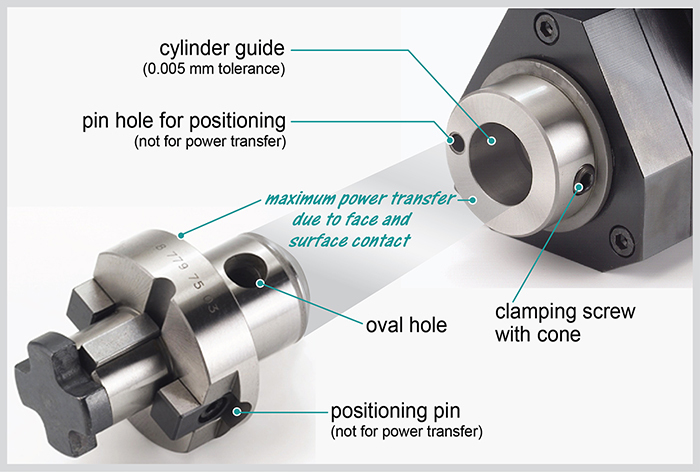 Their wide product range consists of a comprehensive tooling offering for almost all current CNC lathes. The flexibility and variability of the designs results in a substantially increased production output. 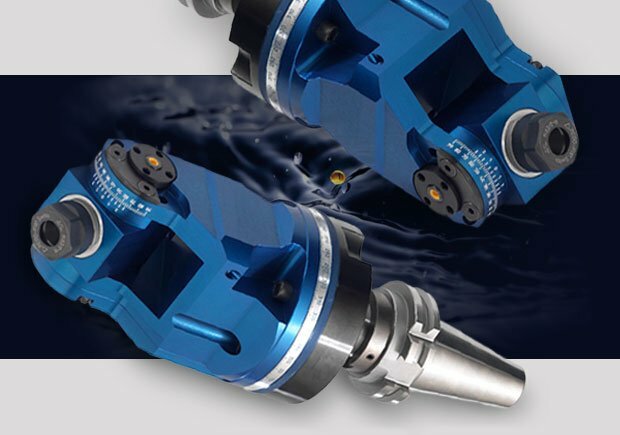 Their tools are suitable for many applications in the field, and their Live Tooling come with a choice of external and internal coolant supply. In addition to the standard range of products, they design in-house special custom designed tools based on customers specifications. 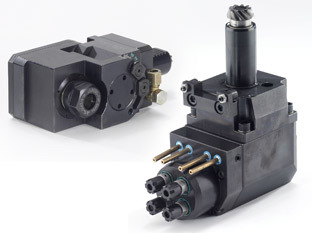 For example, multi spindle drill and mill heads or speed increasers. There are quite a number of quick change systems on the market, but most of them take up too much space to be used with Live Tooling. This is why Heimatec has developed its own quick change system. In addition, a specific set of Live Tools can remain in the machine and only the front end adaptors have to be changed. This eliminates the time-consuming adjustment of tools. The clear advantages have led to the high level of acceptance and the success of our quick change system. The “easy-quick” product line demonstrates heimatec`s precision. The easy-quick system has a high-precision interface between the output spindle and the quick change adapter. It consists of a self centering cylinder with very tight tolerances which ensures the highest possible precision and rigidity. Heimatec‘s standard and custom Angle Heads are designed and manufactured to handle the most difficult manufacturing processes. They are ideal for heavy milling operations because they are supported by twin or double twin sets of matched angular contact bearings plus a rear radial support bearing. All gears used in our Angle Heads have inclined teeth, are made from high resistance gear steel, and are specially hardened, ground and lapped in sets to provide the smoothest transmission output available. Heimatec Angle Heads are made from special high tensile aluminum and all surfaces are sandblasted and anodized blue. We only use high precision spindle bearings, ABEC 7(P4), Timken bearings, or custom bearing systems to assure the highest possible spindle concentricity. Heimatec produces large Multi Spindle Machining Heads. These Tools compliment their other existing high quality products. Multi Spindle Machining Heads are mainly used in special purpose machines such as Transfer Lines, Rotary Machines, and Drill Head Changers. These units are used in various industries such as automotive and aerospace and are suitable to produce individual holes, as well as complete drill patterns. These patterns can consist of several holes with the same or different diameters. One Tool can perform several different operations simultaneously. All Heads are available with internal coolant or a minimal lubrication system. High-quality VDI tool-holders, manufactured according to DIN 69880, contribute substantially to the quality of your products. Forget everything you knew about quick change systems. Now there is u-tec - the new dimension in machining! That still is not enough for us ! Because all this should not go to the disadvantage of the high standard and comfort, you are used to from heimatec tools. Keyway Machining With Unique Angle Head From Heimatec "pins for stabilizing the tool, CAT 50 taper style, 360º indexable pivot on the angle head and inclined tooth gear design for maximum rigidity." "To machine helical gears at 45-degree angles, Gurecky installed a customized multifunctional machine from DMG Mori Ellison Technologies with a hobbing tool from Heimatec." "The bottom line is the bottom line for most of us today. However, always consider the future jobs when purchasing tooling systems for your new and existing lathes. What might seem a bargain might not be, after the first big job is completed."